FESTIVAL DEL GLOBO, THE LARGEST BALLOON EVENT IN LATIN AMERICA! THE ST. CROIX VALLEY AND SAID, I WOULD REALLY LIKE TO TRY THAT SOMETIME ? AAMODT'S APPLE FARM AND SAINT CROIX VINEYARDS. Just Imagine… the yards of fabric being stretched out, warm air gently raising the gentle giant balloon upright and soon you are floating with the wind. After landing, our chase crew brings us back to the apple orchard and we celebrate our flight with a champagne toast in the old restored barn. 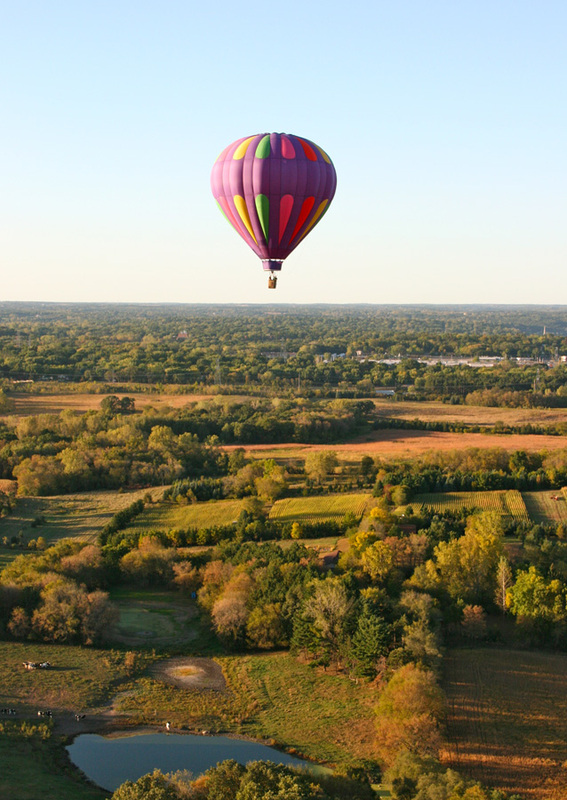 There is no better way to experience a balloon flight than to take off from the property of Aamodt’s Apple Farm and Saint Croix Vineyards in Stillwater, Minnesota. During apple season, why not show up a little early for your flight and have a piece of hot apple pie from the bakery. Follow that with a sample of award winning wine in the winery or simply take a romantic stroll through the orchard. Each of these options are flown by FAA certified pilots, some of the most experienced not only in Minnesota, but in the United States. We respect the fact that this is a once in a lifetime adventure for each passenger. We do not offer large group flights, instead, we specialize in couples and small groups – offering personal touches not found elsewhere. The Small Group Flight is in hot air balloons that hold up to eight passengers. This option is an affordable way to experience an intimate flight with a small group without the expense of a Private Flight. The Private Flight means you are guaranteed that it will be just the two passengers and the pilot in your own balloon, great for engagements, anniversaries or if you just want to be by yourself (with the pilot of course). "Due to weather conditions it was a few months past my 70th birthday when I celebrated it 3,000 feet above Stillwater in an amazing hot air balloon ride with a friend and our pilot, Scott Aamodt. Scott is a professional and accomplished pilot with over 25 years of experience. His first job is to make sure that conditions are safe for ballooning and often that means we needed to be patient when scheduling our ride. Scott’s associate pilots and crew all gave us every confidence that we would enjoy our flight. Friends have said “Oh, you are so brave.” I hate to tell you, but this was incredibly relaxing. Don’t let a fear of heights scare you. I’d rather be in a balloon 3,000 feet up than on the balcony of a tall building. Enjoy any special occasion flying with Aamodt’s Hot Air Balloons. Don’t wait until you’re 70!" "Thank you all very much for a wonderful balloon flight yesterday. Jim was a great pilot, answering all our questions and pointing things out for us to see, and the crew did a superb job both before and after the flight. It’s obvious that everyone involved loves balloons! The flight was a 50th birthday gift for me and although my birthday was last October, it was well worth waiting for! Keep up the good work and we hope to see you again!" "Last June 23rd you were able to take my mother and step-father up on beautiful Monday evening, on a last minute booking, for my Mother's 61st birthday. As you may remember she was diagnosed with cancer a couple months prior to the ride, and unfortunately succumbed to it in September. However that evening was the most wonderful time and probably the brightest and happiest day of the entire summer for both my Mother and the rest of the family. My Mother talked about how wonderful it was, all the rest of her time with us. I just really want to thank you and everyone on your staff for that wonderful and memorable experience. I really want you to know that you made it possible to have a lasting happy memory during a terrible and tragic time for myself and family. I'm sorry this is such a belated "Thank You", but I still want you to know how appreciated you were. Thank you so much." "Aamodt’s Balloon Ride Employees, Thank you so much for the wonderful ride! I have attached a few pictures from our flight to remember. We took off as boyfriend and girlfriend and landed as an engaged couple. It was the most beautiful day, we enjoyed the ride and plan on going again on our anniversary. Jim was an amazing pilot and he answered all of our questions. This was the most amazing day of our lives! 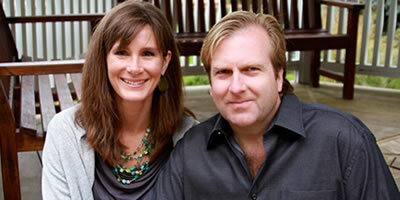 Thanks Again"
"My husband and I were on the Jupiter flight yesterday evening. We just wanted to let you know what an amazing experience this was and the best way to celebrate our five year anniversary. We were both truly impressed and in awe the entire flight. Breath taking!!! Again I just wanted to Thank you for the great experience and all that you do! I will be referring any family and friends here to you! We're both still all smiles yet this morning even thinking about how great it was and will definitely be back at some point!!!!" "Just wanted you to know, I held on to that certificate for two years because I didn't think that a balloon ride was something I would enjoy. I thought I would be scared. I thought I might get sick. I didn't think anyone else would want to go. If I had any idea how amazing the experience would be, I would have been on it right away. From the moment the basket left the ground, I was in awe. Once we were over the trees, I could hardly contain my excitement. I was looking down at the beautiful Earth and could feel its peace. The glorious sun was rising over the valley and birds flew below us. I was in complete awe and would rate this experience amongst one of the best in my life. My husband and I were also impressed by you and your crew and your teamwork. I can see how flying in a balloon might be a little addictive - I think I just need to go float for a while. Anyway, thank you for the experience. We will definitely be back. I would love to take my daughters up and have been recommending you to everyone I know."